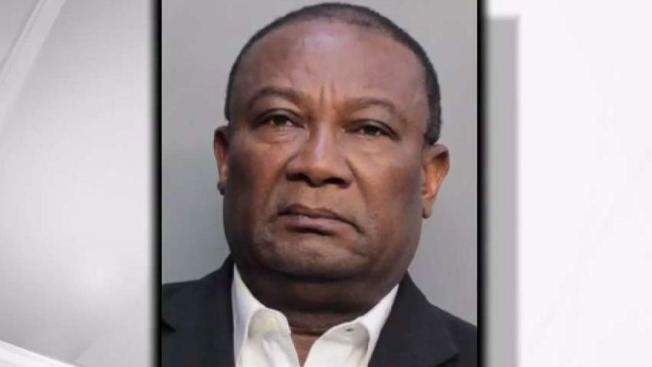 Parishioners of a South Florida church are shocked after a local priest was arrested for allegedly sexually assaulting a woman. NBC6 Reporter Arlene Borenstein reports. A priest in Homestead has been charged with sexual battery of a physically incapacitated victim. Jean Claude Jean-Philippe, 64, bonded out of Miami-Dade County's Turner Guilford Knight Correctional Center on Saturday. Philippe is listed as the Sacred Heart Catholic Church's parochial vicar. The church – which originated in 1915 – is located at 106 SE 1st Drive in Homestead. According to an arrest report, the victim is a 44-year-old woman. The woman told police that Philippe officiated her wedding and is her children's godfather. The victim says the incident happened in October of 2018. The arrest report states that Philippe offered her a non-alcoholic tea, which she accepted and drank. After she drank the beverage, the victim said she woke up naked in Philippe's bed. She told officials she cannot remember what happened during those two hours. She said she found Philippe standing over her in just his underwear. "We just hope it can be a false accusation," said a parishioner." On Friday, police found him and questioned him. He initially denied the allegations when confronted by the victim, but told police he massaged the victim while she was naked and then sexually assaulted her. "I was very surprised when I heard the news," said one parishioner. "I feel for the victim because she must have lost a lot of trust." He was then arrested and charged with sexual battery on a victim who was physically incapacitated. He bonded out of jail on Saturday. The Archdiocese of Miami released a statement saying, "Effective immediately, Archbishop Thomas Wenski has removed Fr. Jean-Philippe from Sacred Heart Catholic Church, placing him on administrative leave. The Archdiocese of Miami continues to fully cooperate with law enforcement as this allegation against Fr. Jean-Philippe continues to be investigated."